Most Android smartphone users use their phones normally for calling, messaging, entertainment, and other purposes, and their devices stay unrooted all of the time. Advanced users root their Android devices to unlock the hidden capabilities of their phones. Of course, rooting has its own advantages and disadvantages, but it has got its own loyal fans. Now many think of rooting as a long and difficult process, but thanks to rooting apps like KingRoot, a rooted phone is just a tap away. 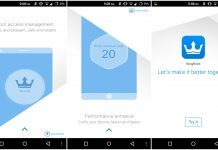 If you don’t want to flash third-party Recovery into your Android smartphone or are too lazy to do it, you should download KingRoot right now. 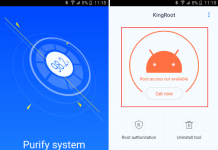 The KingRoot rooting app for Android lets you root and unroot your phone quickly and easily, and it works on almost all smartphones. KingRoot is based on system exploit and deploys the most suitable Root strategy for your phone according to your ROM info, so it’s necessary to keep the net connection turned on during rooting. Also, the app closes Sony_RIC perfectly and doesn’t trip Samsung KNOX. So if you want a rooted Android phone, you should definitely download KingRoot. It’s free! The latest KingRoot update was released recently and comes with version number 5.0.1. 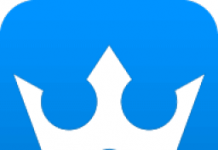 KingRoot 5.0.1 APK download file weighs 18.34 MB and can be installed on Android 2.3+ devices. You can download KingRoot APK latest version from APKpure.com and then install the APK file directly on your phone.